Merry Christmas from the McGirr’s! 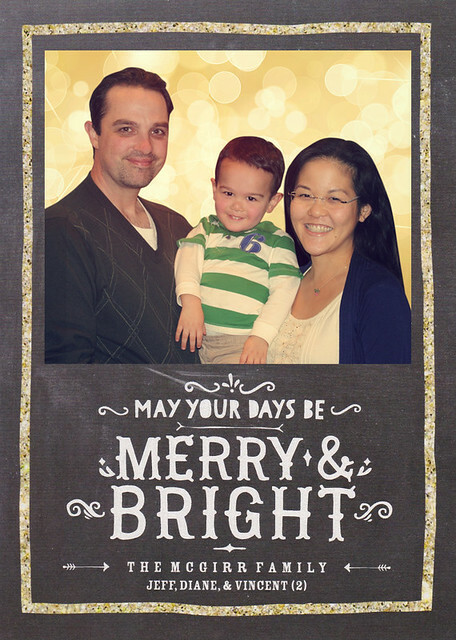 I usually print out Christmas cards at Costco because they are so dang cheap, but this time i thought i’d splurge and use TinyPrints. It was a nice change, but certainly more $$. But i figure, why not! I’m pretty happy with the way they turned out. We took this picture of course, at Thanksgiving (see post below!). 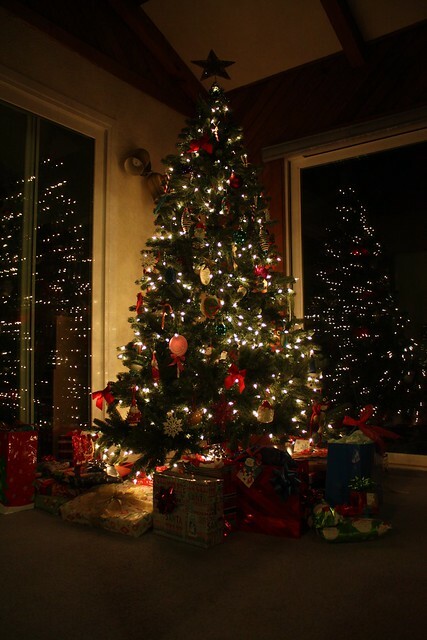 Here is our Christmas Tree on Christmas eve. Lots of gifts from family and friends! When i woke Vinny up on Christmas morning, he was being really cute and sitting down nicely on the floor, so i grabbed the Christmas bear and took a couple of cute shots of him. He has that just woke up look! 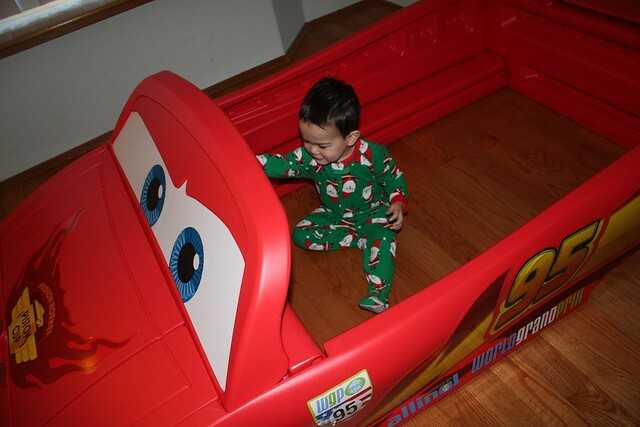 Vincent’s big christmas gift this year was his new race car bed! It is a toddler bed, that can convert to a twin bed frame for when he gets older. 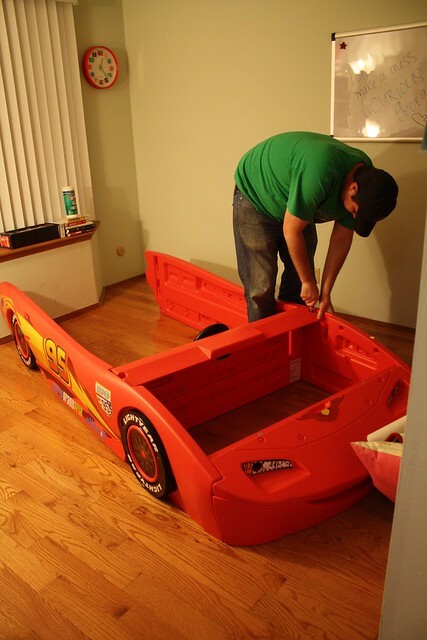 We put the bed together on Christmas Eve, carefully placing the stickers and assembling the big plastic red bed frame. It comes complete with Lightening McQueen eyes, and real light-up headlights. 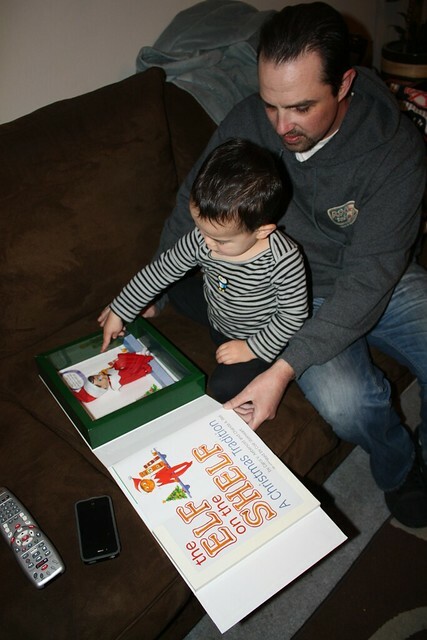 We showed it to him on christmas morning when Dad got up and after opening a few presents. I put a bow on the door! It’s his brand new room! 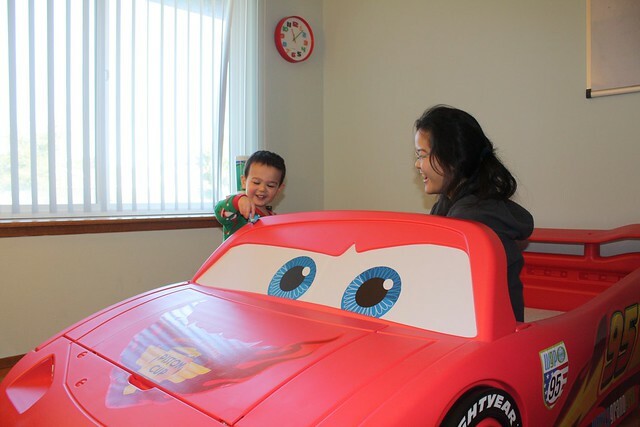 He was very excited to see it in his room and climbed right in! We grabbed his mattress and put it in, then he started lying down on it right away. 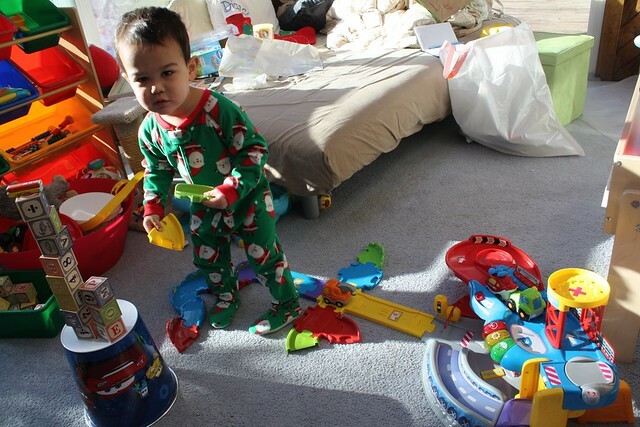 He had fun playing in it – using his new Cars figurines we got him from Disneyland to race down the front of the bed. We opened a lot of gifts! Of course Vincent wanted to play with each one right away, saying “CHEESE” and clasping his hands together. 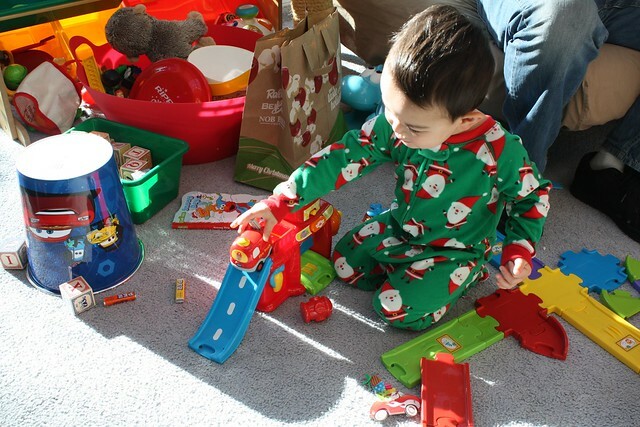 We did open up most of them for him to play with, so the morning took a while to get to all the gifts, but whats the rush anyway? 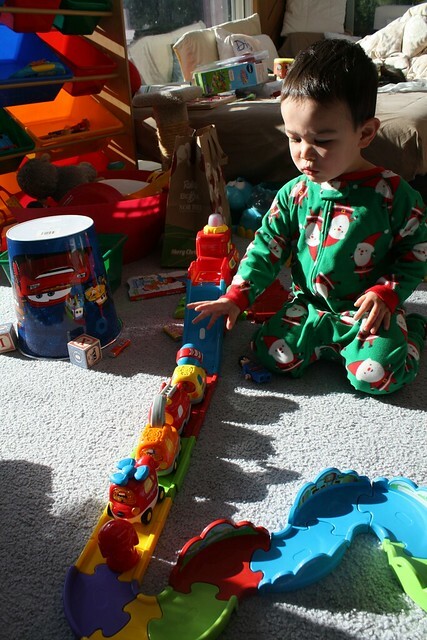 His new tracks to add on to his existing garage toy by V-Tech. Also got him a fire station to add to that! He loves lining things up! 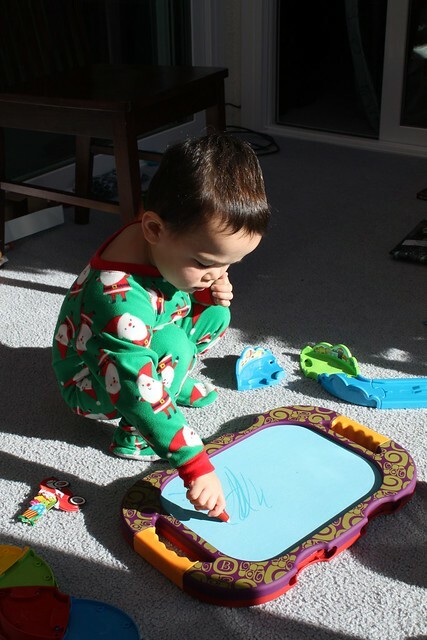 New water doodle board from Grandma Lisa and Grandpa Mike. 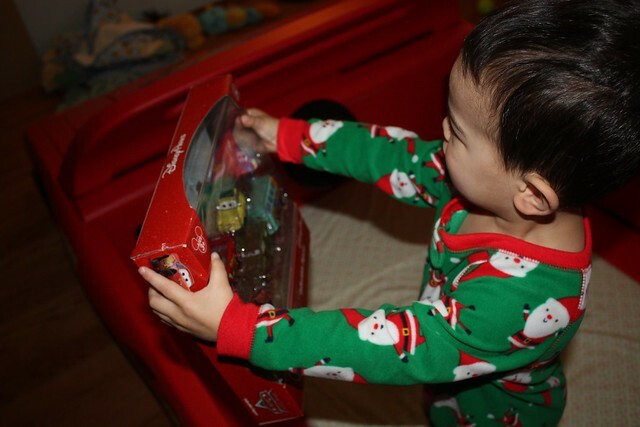 One of Vincent’s presents was his very first Piggy Bank. 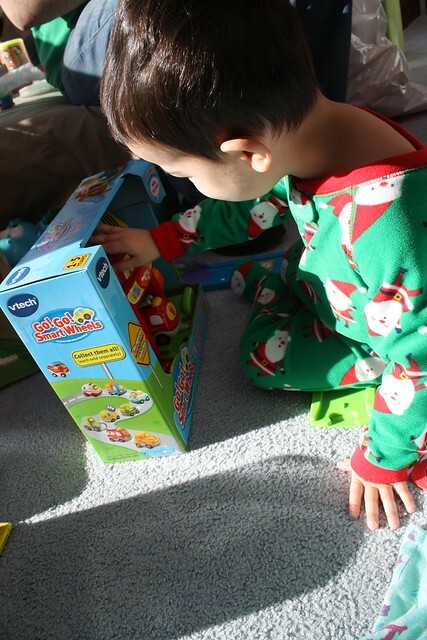 We had a free Rabobank one that he liked to play with, so we thought getting him his own would be a special gift. With the gift i gave him a box full of coins so he could fill it up. He thought it was funny to try and feed the pig by the mouth. Check out the video. 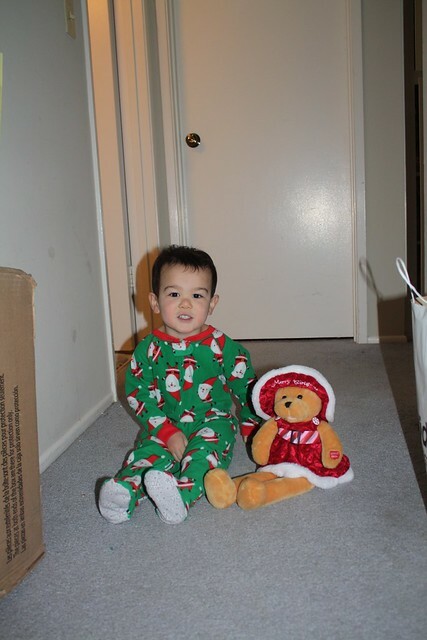 After his afternoon nap, we video chatted with my family in Hawaii and opened their gifts. Vinny was mellow. Vincent and I were just getting over a little cold. Even Butter seem to be sneezy (Vinny thought that was funny!) and sick. Jeff was fine. 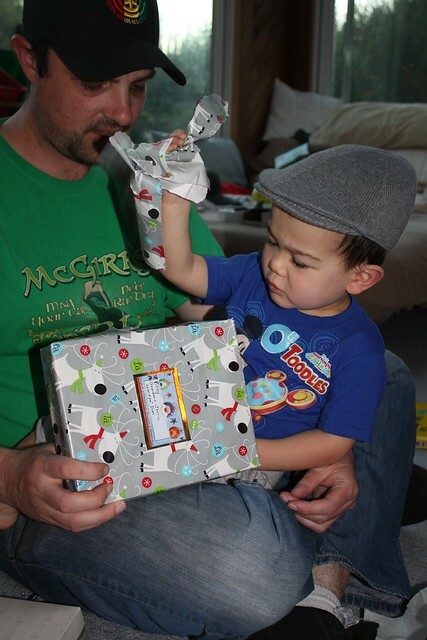 Opening more presents and wearing a cute hat he got from his Aunty Susan. This year he didnt really “get” the idea of Santa Claus. Last year we thought he would be now, but that’s fine with me. Less work! Haha! 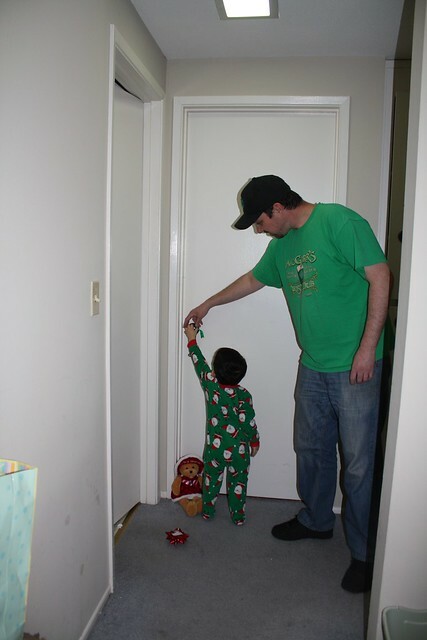 Although i know a lot of parents use Santa Claus to encourage good behavior. 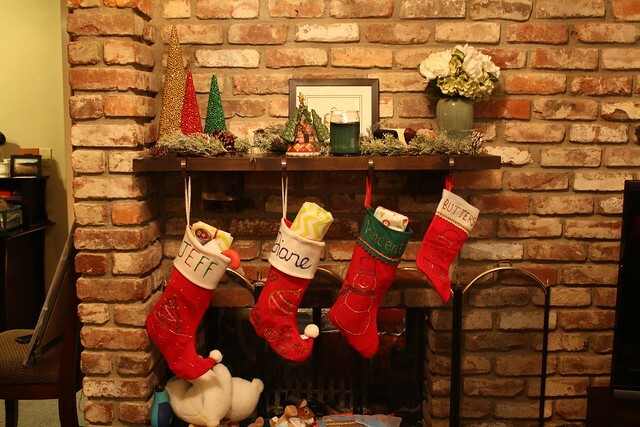 “Santa claus is watching you!” — we’ll see how that plays out next year. We did pull out the Elf on the Shelf. We didn’t really do it, but we just read the story and had it out. It seems like so much work to move the guy every night. I dont think i’ll ever really do it but you never know!